Istanbul (AsiaNews ) - The "sacred and great" pan-Orthodox Synod will be held in Istanbul in 2016 at the Cathedral of St. Irene. In the meantime, the Orthodox Churches, a Preparatory Commission - composed of a bishop from each church will begin preparatory work "in a fruitful manner" for the meeting . The same group will then serve as the secretariat during the meeting. This was decided by the Synaxis , the meeting of all the heads of the Orthodox Churches, gathered at the initiative of the Ecumenical Patriarch Bartholomew I. Prior to this pan-Orthodox meeting , convened in theory to discuss the situation in the Middle East and Ukraine , the head of the Phanar and the Patriarch of Moscow and All Russia Kirill had a long private discussion . Kirill's participation was in doubt until the very last, as the Russian patriarch had asked for "another date and another location" for the meeting . In the end, however, he was present when the Synaxis opened. According to some reports, the great Synod of the Orthodox Churches will be attended by 20 bishops from each Church (if each church has that many), every church will have a single vote during the final voting , decisions will be taken by consensus (ie, by the unanimous vote of the Fathers present). 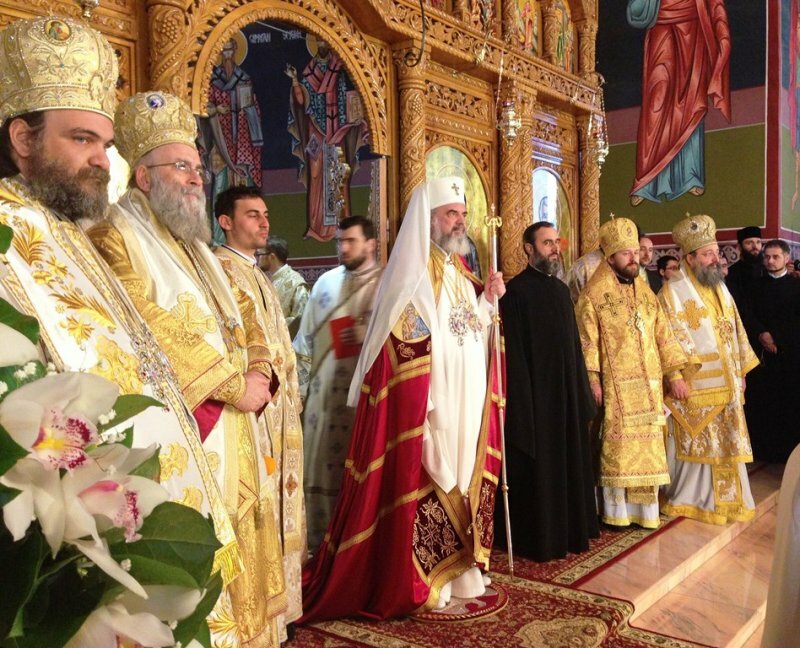 In the Orthodox world historically there the autocephalous patriarchates of Alexandria , Antioch and Jerusalem , while the Ecumenical Patriarchate of Constantinople is called the " Mother Church", as she gave birth to the Churches of Moscow , Bulgaria, Serbia , etc. . Currently, two realities coexist within the Orthodox world . Firstly, Constantinople, towards which the patriarchates of Alexandria, Antioch, Jerusalem, Sofia, Belgrade, the Churches of Greek language and culture , and the Church of Albania look. Secondly, the Patriarchate of Moscow which includes Georgia and the Churches of Poland and the Czech Republic; and, surprisingly, the Patriarchate of Romania. The Moscow Patriarchate does little to hide its hegemonic ambitions, especially among the Orthodox diaspora . The decision to convene a pan-Orthodox Synod seems to finally draw to a close an issue that has lasted for at least five decades. The Eastern Churches are autocephalous, and the internal discussions of the Orthodox world, there have been significant divisions that have prevented the possibility of a joint discussion . Perhaps the most critical moment was when Moscow - at the time led by Alexei II - ceased to name the patriarch of Constantinople in liturgies, as a reaction to Bartholomew I's proximity to the Orthodox Church of Estonia. The tension between the two patriarchates - derived from a theological discussion on the issue of "primus inter parese" - had effectively barred any progress on the preparation of a pan-Orthodox council.